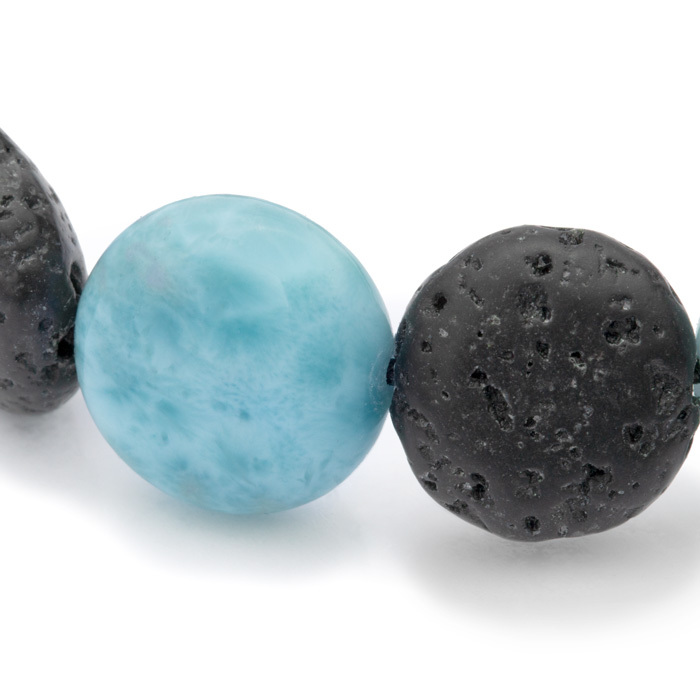 Earth and sea meet on your wrist as rounds of luminous larimar and lava rock evoke the elements. Feel grounded and beautiful! The band is terminated with the Marahlago signature flower so you know it’s authentic! 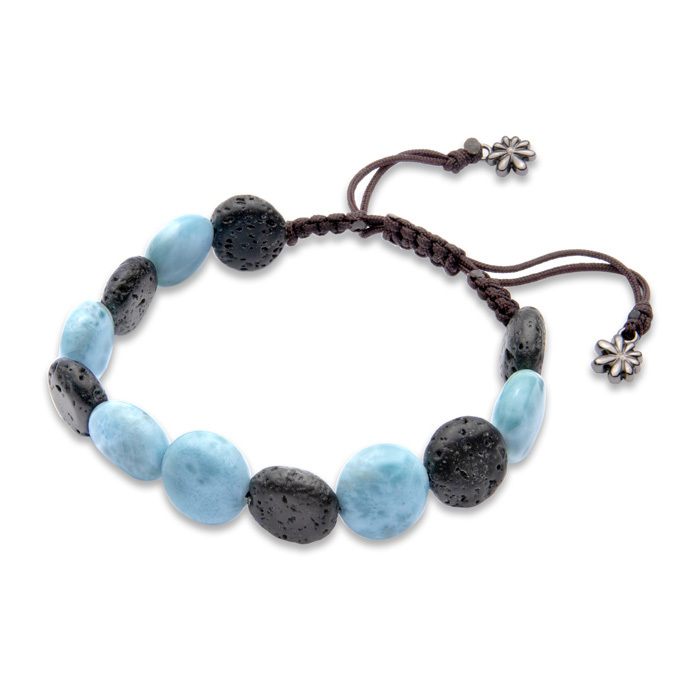 Product Details: Six larimar gemstones and six lava rock stones. The bracelet can adjust from 6" to 9".